The Ferrari 250 GT Drogo, also known as Ferrari Breadvan, is a grand touring coupe car 1962, built for racing by Carrozzeria Sports Cars Piero Drogo, on standard Ferrari 250 GT SWB. The frame is made of light alloy, coming from a Ferrari 250 SWB, 1961, as well as the V12 3 liter engine and four-speed gearbox. In 1962, Count Giovanni Volpi, owner of Scuderia Serenissima, hired Bizzarrini to modify a Ferrari 250 series and turn it into a GTO. Ferrari, contrary to the initiative, refused to give a proper model for this purpose, forcing Volpi elsewhere to buy used Ferrari 250 GT, chassis number # 2819GT, which is necessary to the project. 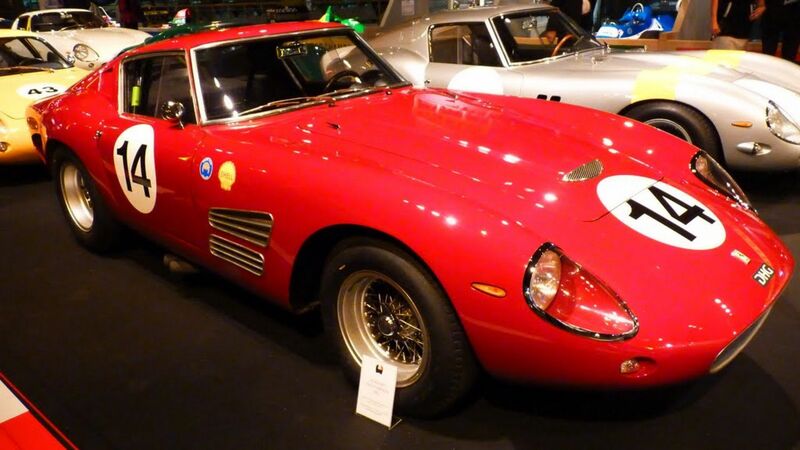 Bizzarrini applied to model his ideas concerning the GTO and developed by Piero Drogo. The result was a car lower than the other GTO, with an aerodynamic unusual; the roof, in fact, was much extended towards the tail, following the theories of Wunibald Kamm. For his appearance was nicknamed Breadvan ( Bread van). This type of back is known as truncated tail. Bizzarrini backed the motor from the front position to a more centralized location to increase the agility and responsiveness of the car and applied a system of dry sump lubrication in order to fit closer to the ground and lower the center of gravity. In 1962, the model exceeded 7km/h on a straight GTO Le Mans, but the car retired before the end of the race. The pilots were Davis and Abbot, and this last one drove it in the rain. The Ferrari 250 GT Drogo was owned by the family of the Counts Volpi di Misurata until 1965. In 2005, at an auction at Christie’s was offered for sale with a rating between 2.5 and 5 million dollars. It is currently owned by Klaus Warner owner of Classic Cars of Wuppertal (Germany).